For many businesses, technology is becoming more and more integrated into their daily processes. From generating reports to tracking data, technology makes our lives easier. However, many businesses still rely on paper for many tasks and projects. While going completely paperless may not be an option for you, there are certainly great benefits of going paperless, or, at least, relying less on paper than in the past. In the modern business world, it’s near impossible to survive or even be competitive without taking advantage of all the developments in technology. 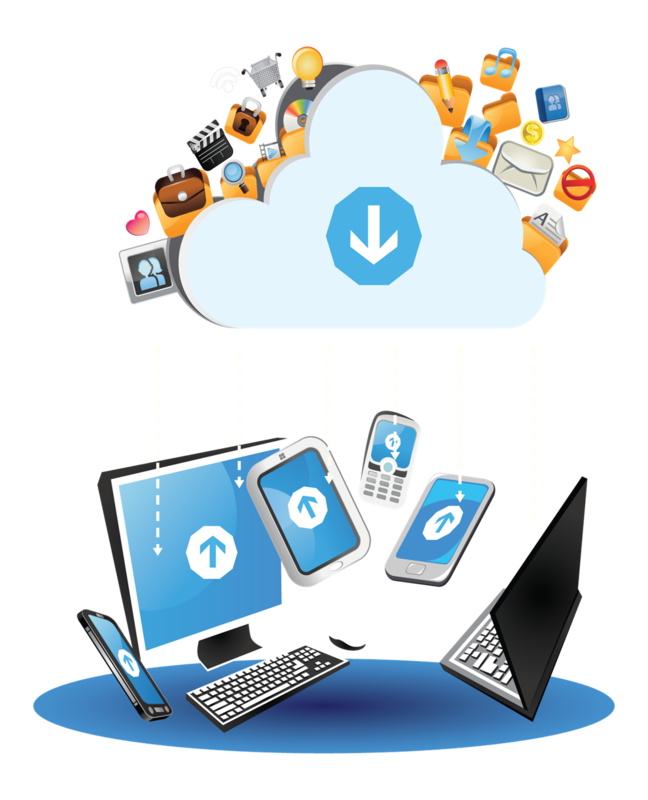 One of the best ways to get ahead in business and boost productivity is to take utilize cloud technologies. What Is Cloud Computing And Why Should You Care? There’s a good chance that MOST of the software applications you use every day are now SaaS applications, or “software as a service.” In other words, you don’t have to install them on your server or PC – you simply access it as a pay-as-you-go model for only the licenses, space and features you use. This gives you the ability to access highly sophisticated software and functionality at a fraction of the cost – or even for free – and without long-term commitments. For example, Google is a massive, free cloud application – the power required to search billions of web sites and content in seconds and deliver the relevant results to your screen far exceeds the capacity of your PC. Facebook is another free cloud application that allows you to post pictures, play games, and connect with your friends in real time without having to install those applications on your computer. Of course, there are also the applications such as Salesforce, Constant Contact, SurveyMonkey, etc., that you pay to use. With the recent introduction of cloud-based office applications like Office 365, Google Apps and thousands of other SaaS applications, it’s becoming unnecessary for some businesses to purchase and maintain an onsite server. Now companies can host one or more of their applications, data, e-mail and other functions “in the cloud.” That simply means it’s stored offsite in a highly secure, high-availability “utility” company that has far more power and resources than you could ever logically have onsite as a small business. And with devices getting cheaper and Internet connectivity exploding, cloud computing is suddenly a very smart, viable option for small business owners. Built-in disaster recovery and business continuity. Only pay for what you need and use (utility pricing). While there are a ton of benefits to cloud computing, it’s NOT right for every company. Some applications don’t play well in the cloud. You need commercial-grade Internet connectivity, and some functions, like working with big graphics files, are better kept local or the slowness will make you crazy. However, in almost every case, parts of your computer network (functions) can easily be put in the cloud to save you money and give you better service. So before you donate your server and sign up for Google Apps or Office 365, it’s important you talk to someone who can honestly assess your unique situation and tell you the pros and cons of making the switch to cloud computing.